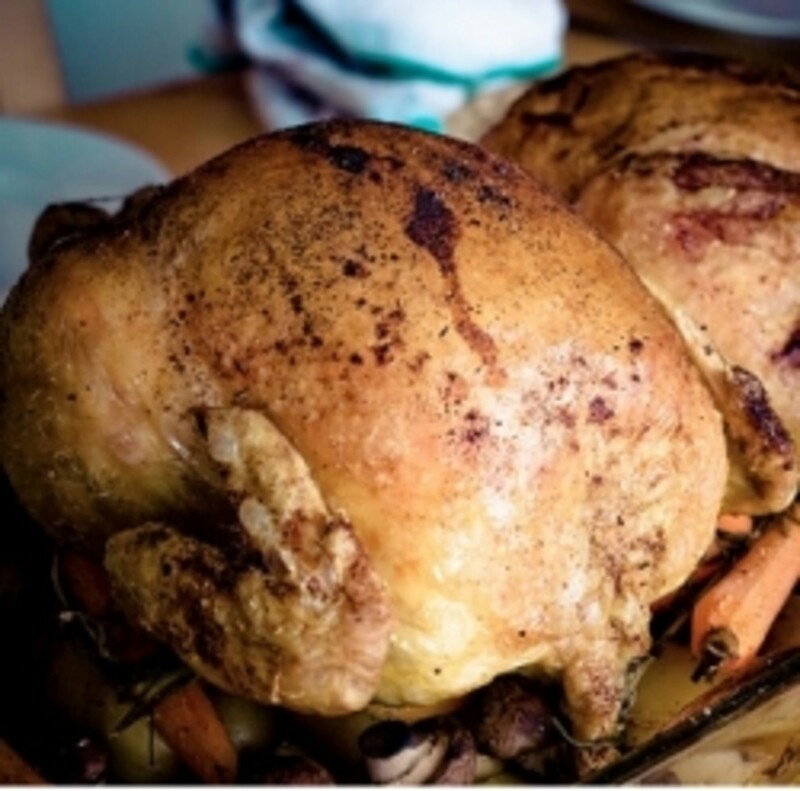 Garlic and thyme make excellent seasonings for particularly oven roasted chicken. The fabulous aroma which fills the kitchen as the chicken is cooking will have everyone in the home salivating in anticipation of the delicious meal soon to be served. 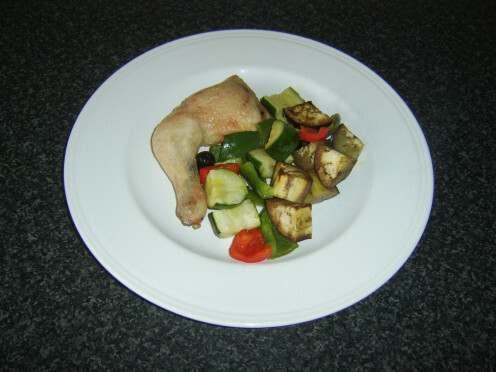 The simple butterflied and roasted chicken recipe below could see the chicken served with perhaps roasted potatoes and a simple veg of choice such as broccoli. 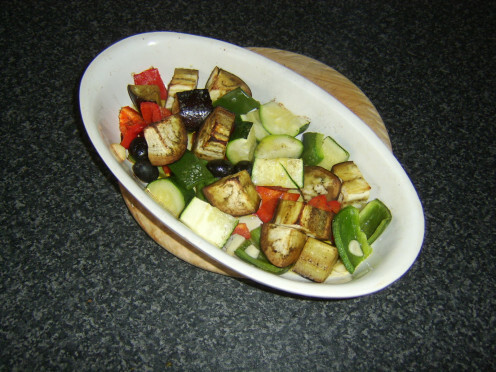 In this instance, however, it is served with a selection of Mediterranean vegetables, roasted in the oven with more thyme, garlic and olive oil while the chicken is set aside to rest. Put your oven on to preheat to 400F/200C. 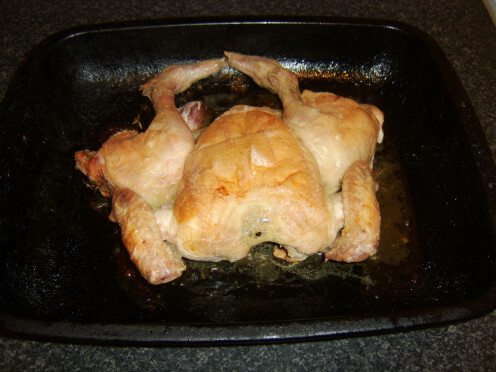 Sit the chicken upright on its broad end, the backbone facing towards you. 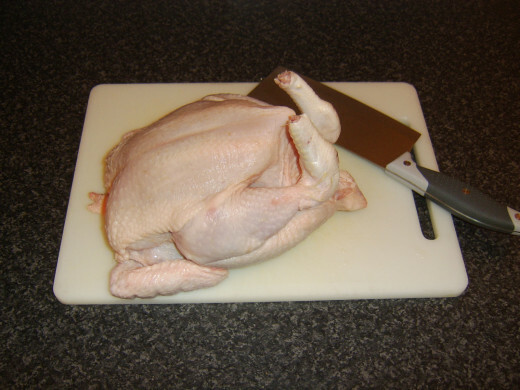 Hold it steady with one hand and carefully cut down either side of the backbone with a cleaver or large, sharp knife. Remove and discard the backbone. 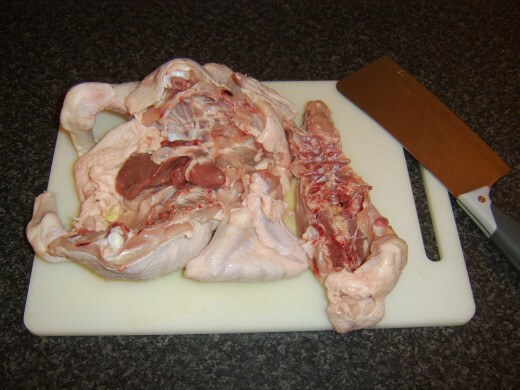 One major benefit of preparing a chicken for the oven in this way is that you can clean what was the cavity of any remaining strands of innards. Do this (if applicable) with your fingers. 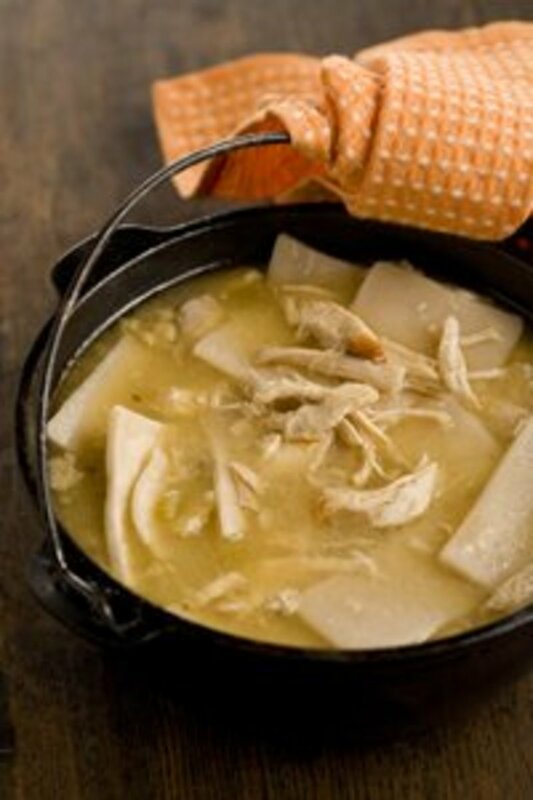 Weigh the chicken to calculate the cooking time of twenty minutes per pound and twenty minutes extra. 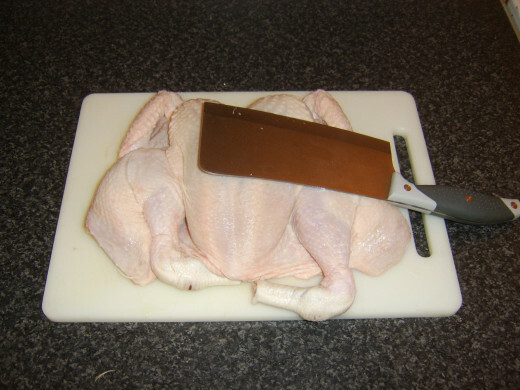 Use the side of the cleaver to firmly pat and fully flatten the chicken. 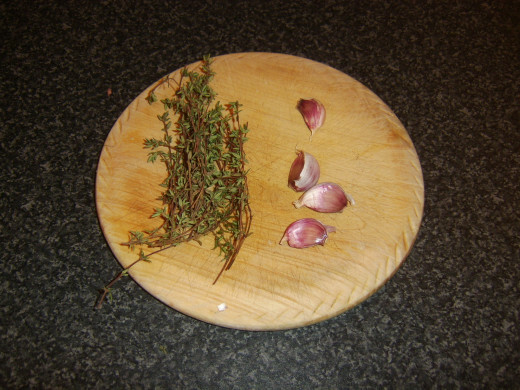 Lay the thyme and garlic in the base of a roasting tray. Drizzle liberally with olive oil. 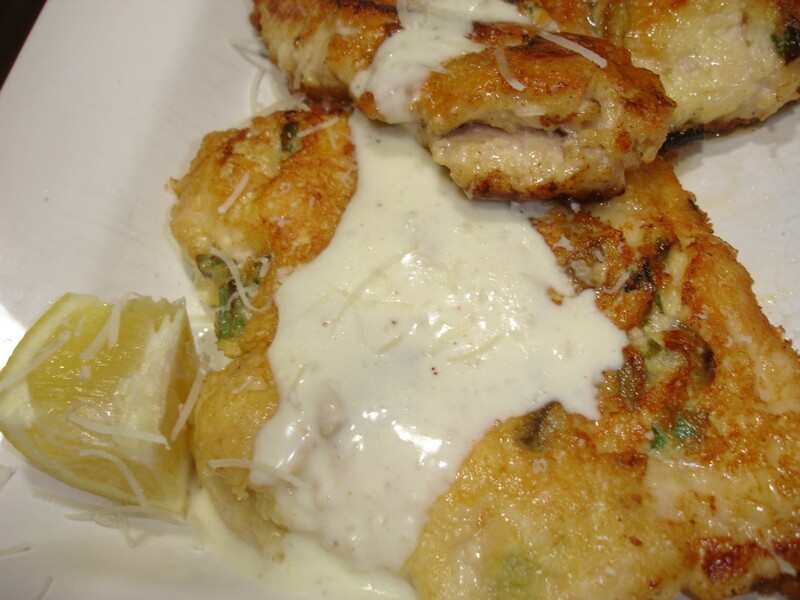 Season the underside of the chicken with salt and pepper and lay it flesh side up on top of the garlic and thyme. 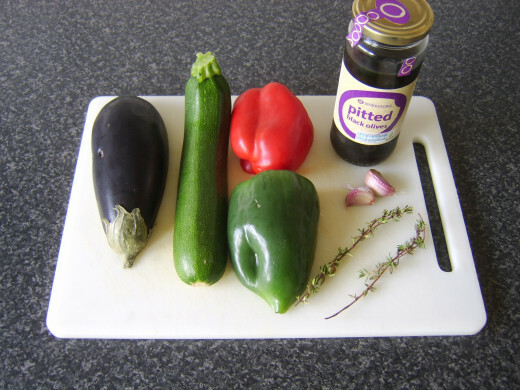 Drizzle well with olive oil and rub the oil in with your hands. This is a little bit messy but makes for much better final presentation. Season with salt only. 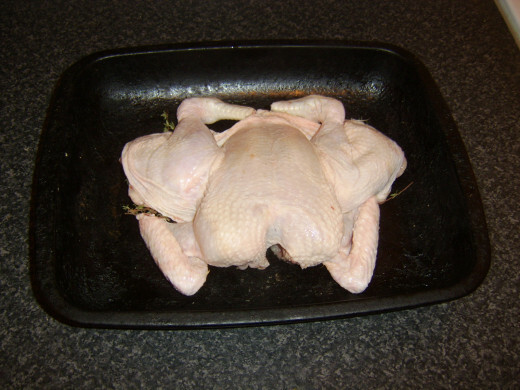 Put the chicken in to the oven for the alloted cooking time. Afterwards, check the juices run clear before setting the chicken aside to rest, covered with foil, while you prepare your chosen accompaniment, such as the Mediterranean style vegetables below. 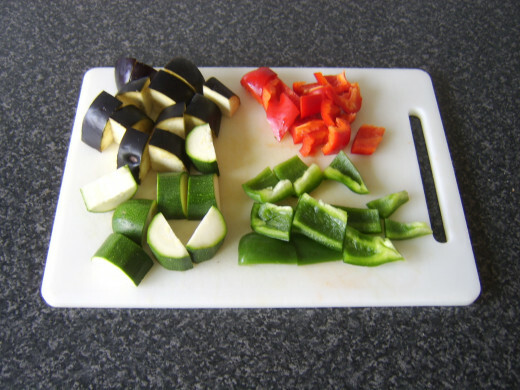 The vegetables should be prepared and ready to be popped in to the oven as soon as the chicken is removed. This means starting your prep ten minutes before the chicken is due to be ready. 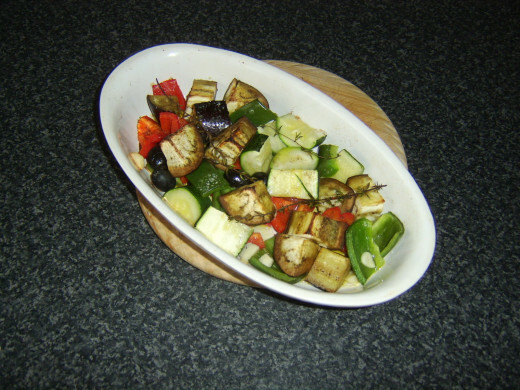 Put the chopped vegetables and the garlic in to a suitable, ovenproof dish. Season with salt and black pepper and lightly mix with a wooden spoon. 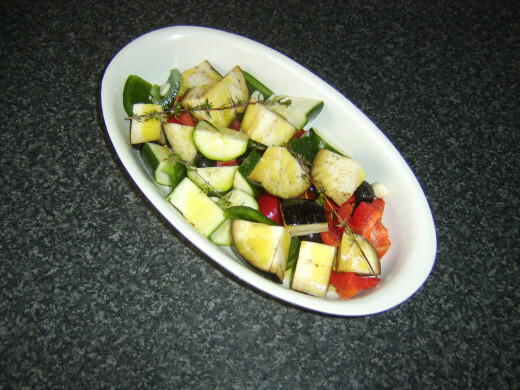 Lay the sprigs of thyme on top of the vegetables and drizzle well with the olive oil. Cook in the oven for thirty minutes, the last ten minutes of which time should be used to chop/carve the rested chicken and portion it on to serving plates. 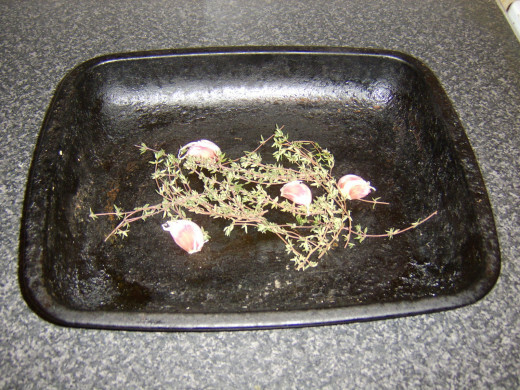 Lift the vegetables out of the oven and carefully pick off and discard the sprigs of thyme. Drizzle with the juice from half a lemon, careful not to include any pips. Use a large spoon to plate the vegetables with the chicken and serve immediately. Thank you, randomcreative. Yes - sometimes the most delicious meals are as simple as can be. Thanks, Mary. I hope it's a dish you enjoy. It's a big favourite of mine. Thanks for stopping by. Simple and delicious! Thanks for the great recipes. I'm always looking for new ways to cook chicken! This recipe makes my mouth water and I'll surely try it. Hi, NMLady. I hope you enjoy your Chinese leftovers - I love Chinese food also. Thanks for visiting and commenting and I hope you enjoy this meal if you give it a try. This is a keeper. Looks yummy! (I have left over Chinese food for lunch today from our favorite Chinese rest.!) I enjoy reading what you write. Looks good with all the veggies...Pinning this recipe.